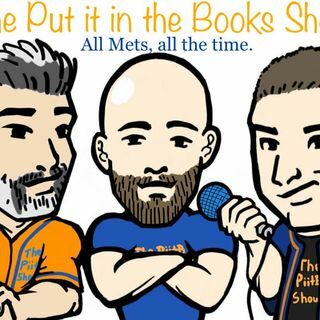 The Put it in the Books Show! S2 E8 - The sky's the limit, right? Farace, Keith and Rodriguez are back at it talking all things Mets! - Is Spring Training too long? - Alonso hits his first dong on his first pitch of the spring! - Bryce Harper saga continues to drag out. - Should the Mets let Gimenez get some time at 3rd base in the minors? - Keith Game of Thrones update. - Mets moment of the Week! - Some sounds from today’s game from Callaway and Thor. Follow us on ... See More all Social Media!